Through a partnership with the Washington Department of Fish and Wildlife, our Okanogan Trails Chapter of the Mule Deer Foundation designed and installed an information kiosk at Carter Mountain Wildlife Area this month to engage visitors on the value of shrub-steppe habitat in our region and the need for creating safer passage on Highway 97 for people and wildlife. Situated adjacent to Highway 97, Carter Mountain Wildlife Area provides important habitat for wildlife moving through and residing in the Okanogan Valley. This kiosk will help engage and inform visitors to the wildlife area. Information kiosk at Carter Mountain Wildlife Area sponsored by the Okanogan Trails Chapter of the Mule Deer Foundation. In the picture from the left: Jay Kehne, Allisa Carlson, and Justin Haug. 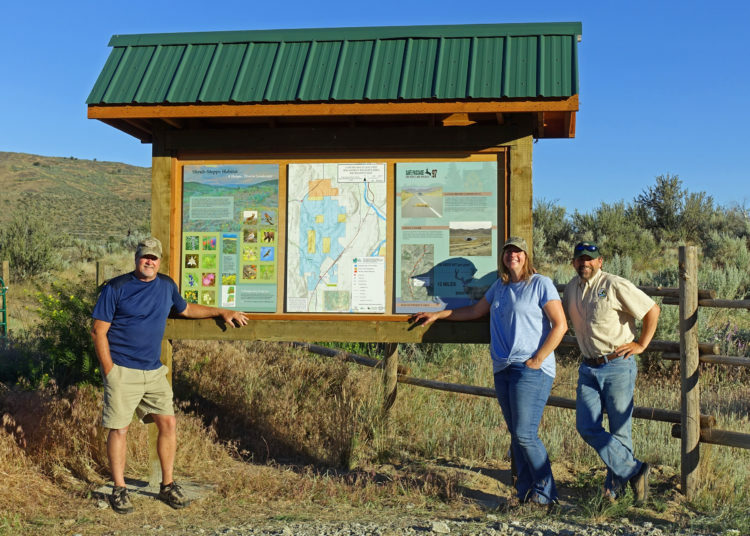 The kiosk is the final step in a larger project of Okanogan Trails Chapter of Mule Deer Foundation to improve a trailhead and user experience at Carter Mountain Wildlife Area. With funds raised at their banquet in 2014, the local chapter made improvements in coordination with Okanogan Backcountry Horsemen, and Washington Department of Fish and Wildlife (WDFW) to the Carter Mountain trailhead that included Improvements included grading, gravelling packing and fence installation around the trail head parking area. 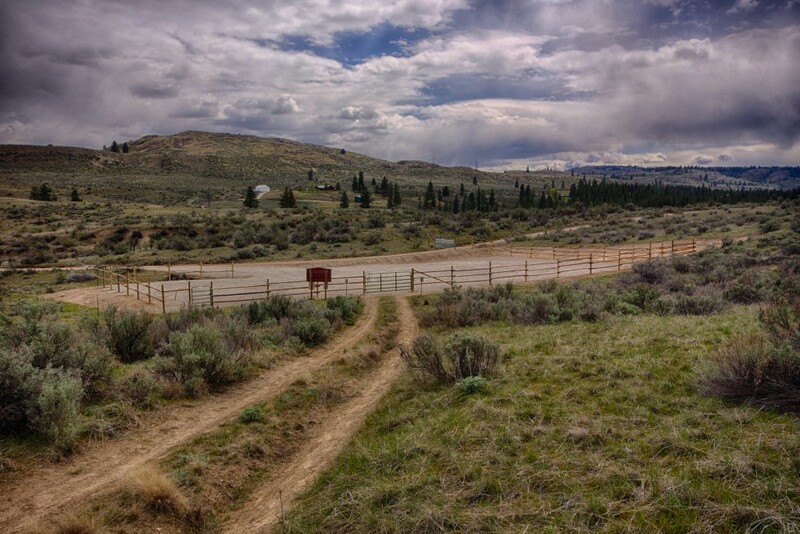 This trailhead provides access to the Carter Mountain Wildlife area where hunters, back country horsemen, hikers and wildlife watchers come to enjoy Okanogan’s shrub steppe landscapes and wildlife. The trailhead sits immediately adjacent to the location of the planned first installation of the first underpass in Phase I of the safepassage for HWY 97 effort currently underway. Some pictures attached to add as needed. The information kiosk is the result of many generous contributions. Design and layout of the new information kiosk was donated by Okanogan Conservation District, materials and construction donated by the local Home Depot store, photos and maps provided by Justin Haug, Graphics completed by Fossil Graphic in New York City, with final installation of the Kiosk completed by WDFW, and Mule Deer Foundation volunteers.